It’s been a week of growth and insights. A friend suggested I check out Women Writing For (a) Change. I did, and visited Women Writing For (a) Change on Saturday to take the Soul Collage class. How exhilarating! Stepping into that place where countless women like me who enjoy taking pen to paper, or images to collage board, and express themselves. It felt like nirvana! I wondered if I could move in, or at least hang out from time to time. I would highly recommend it to any one reading this who has a longing to express themselves through words. Even though “women” is in the business name, there are occasional classes for men. It was inspiring being surrounded by so many creative people. My collage titled Serenity filled the card with images of places I would like to write in – nature, quiet, lush green floral paradises, a cottage in the woods. When you live in the city, I suppose those places seem almost like a fairytale. It’s about learning to see and accept ourselves as God does. Feel free to give me your thoughts. I hope the title caught your eye and made you wonder: What could Sue possibly have in common with these two people? I don’t know much about Steve Jobs personally. I do know he changed the way most of us live our daily lives. You don’t have to own a piece of Apple equipment (that would be me) to realize if you enjoy the improvements in technology regarding computers or cell phones, you’ve benefitted from Steve Job’s time on earth. Mr. Wheldon… how I enjoyed his presence during his much too short time on earth. Most people who recognized the name knew him as a two time winner of the Indianapolis 500. Those of us whose lives were brightened by his existence knew that he was much more than that. He was one of those rare humans who leave a lasting mark on the people they meet. A man who had the gift of a smile that reached beyond his eyes. A character that reached out and embraced yours. A passion to pursue his dreams and along the way, make you feel somehow a part of it. I had the unforgettable pleasure of meeting Mr. Wheldon in 2006 and again in 2008 at Kentucky Speedway. In 2006, he was a part of Chip Ganassi’s Team Target Indy racing team, along with Scott Dixon. There was an opportunity to meet the two of them at the Target trailer, before the race. To say I was looking forward to the chance to speak to Mr. Wheldon is like saying Bill Gates is worth a bit of money! I got in line with an assortment of other folks. Some were fans of Dan or Scott Dixon. Many were there to get as much merchandise signed as possible, to sell via various auction sites. Me? I held my newly acquired 8 x 10 of Mr. Wheldon and noticed as the time got closer: a) it was bloody hot out and I was spitting cotton, and b) in my excitement, I’d forgotten to eat all day and my blood sugar was dropping badly. The appointed time arrived and my voice morphed into this humiliating combination of Minnie Mouse and Julia Child. My hands started to rattle so badly that the photo and small Indy car I held were bobbing about like jumping beans. Watching these two racing stars interact with “the fans”, they appeared polite and cordial, but nothing special. I encounteted Scott Dixon first. I am now ashamed that I was truthful, but tact was nowhere to be found. I told him, “I’m sure you’re very nice, but I’m here to see him” (pointing to Mr. Wheldon). At this, Dan grinned like the Cheshire Cat, but I now cringe at my rudeness. Nevertheless, there I was, face to face with #10 himself. I handed him the car first, he dutifully signed it. Then the photo. He prepared to sign it. I meekly squeaked out, “would you sign it To Sue?” His demeanor instantly changed. He looked me in the eye and asked, seemingly surprised, “Is this for YOU?” and I replied, “well, YAY-eah, who else would it be for? I’m certainly not giving it away.” His face seemed to light up a bit and he asked if I’d like to have him write anything special? I suppose I was feeling mischievous… I asked if he’d write anything I wanted. He said sure. I said, “okay, make it out to Woman of My Dreams” and smiled (as if this then 46 year old worn out overweight woman with no makeup and covered in sweat could ever be that!!). He started writing and I squawked, “you’re writing THAT? ?” He was. We talked, my hands rattled, and I felt like I was talking with a friend. He noticed the camera in my hand and asked if I’d like to take a picture? That camera bounced in my hand like cars on the streets during pothole season. At that, he stood up, called someone over and asked him to take our photo. WHAT? After the photo, he gave me a hug and a peck on the cheek. At this point, I was ready to just evaporate! I thanked him for his kindness and stayed nearby to watch until it was over. He also showed extreme compassion for a handicapped young man who was over the moon at meeting him, coming out of the trailer to pose side by side with him and talk quietly. I think that’s when I was completely won over by his character. In the years since, I’ve read countless stories of his kindness, generosity, philanthropic acts, friendliness with everyone he worked with, no matter their position, his prankster nature, and how much he adored his wife and two little boys. He was also an avid champion of making the sport of Indy racing as safe as possible. Which makes his death in that horrific, fiery crash at Las Vegas Speedway’s race as a result of a 15 car pileup all the more ironic. What’s the mark they each left on this world got to do with me? Steve Jobs – admiration for a person who could create great things, as he did, and the stories I’ve read since his death of his profoundly positive effect on people. The effect his call to follow your own passion has had on countless people (myself included). Dan Wheldon – his death blindsided his many friends and fans. What I have found so heartening in the outpouring of love and concern toward Dan and his family is the dual sentiment of grief for his passing and the call to carry on as Dan would have wanted people to. Live life to the fullest, pursue your passions with excellence, do what you can to leave this world a better place, be the kind of person that people are glad to have known. I’m trying to do that. I’m not even in the shadow of their caliber. But I’m inspired into action by the example their lives have set. 10/15/11 What Images Does The Word Prayer Convey To You? I started to write this post about the week I’ve had and how it ended with me resorting to prayer and soul searching. In doing so, I looked at the picture gallery for a photo to go with it. What an illuminating experience that turned out to be. Putting search words in such as “prayer”, “‘praying”, “prayerful” produced many photos of people praying, but it was interesting to me that they all appeared to live on the other side of the world. Then there were the multitude of photos showing statues, buildings, candles and flames, centuries-old paintings of pious people looking serenely toward Heaven. I didn’t see any photos that looked remotely like me. Or resembled the settings I usually pray in. Which got me to wondering? Where do you pray and how do you look when you do so? Are you on your knees with head bowed? Standing? Hands clasped? Is it a prayer of your own words or is it a corporate prayer said in unison with the rest of your church? What images come to your mind when the word “prayer” is mentioned? Is prayer something that brings you closer to God? Or do you shy away from it, fearing you may not know how to pray correctly or that you won’t know what to say? There are no right or wrong answers. I can share with you that I am a person who prays often. 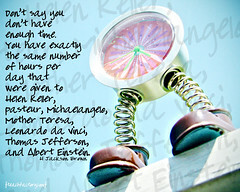 Some prayers are quick, some are whispered when I’m looking for strength or self restraint. Praying for others does not come naturally to me. I honestly will pray for folks or situations if I tell them I will, but I’m afraid I don’t seem to go beyond the basics with it; though I think I’m getting more comfortable with it as time goes on. I remember feeling absolute mortal TERROR whenever I thought someone might ask me to pray out loud in a group. ME?? Miss Never At A Loss For Words would suddenly be struck dumb at the fearful notion that people would discover what a crappy job I did at praying aloud. As if there was some sort of score card to give me a grade on how I did….. did I hit the right note, sound holy enough, say “Lord” enough times. Do you see some of the ways I waste my mental minutes on Earth? 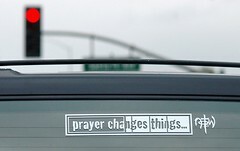 I chose the photo in this post because in the end, I do a lot of praying in my car. And no, it’s not, “Holy Crap, did you see that?” or “Jesus, Take the Wheel”. I pray for grace, mercy and the ability to go through the day not being a total schmuck to everyone I encounter. When I’m feeling scared, lonely, or in some kind of crazy wicked pain, my car is where I rant and rave to God, asking Him to help me make sense of it all. Oddly enough, I don’t seem to pray so well at church. It’s like, my mind knows I’m supposed to be praying, so my brain wanders all over the planet. If I haven’t eaten, I listen to my stomach rumble. If I’ve been drinking coffee, I ruminate on how awful my breath probably is and I pop a piece of gum in, before the service is over, so that I don’t knock anyone over if they come up to speak to me after church. I am not proud to admit this. I see the most amazing prayer warriors at my church, Vineyard Westside. These lovely people make themselves available up front after each service for anyone desiring or needing prayer. I ventured up there tonight. I don’t like to ask for prayer, as I imagine that what I want prayer for will sound silly or worse yet, people will find out my life is not perfect. What a dope I can be. It was so comforting to share my request with two of the ladies and have them pray for me. I cried like a baby. I think I was crying on the outside. I had my eyes closed. I know I was weeping on the inside. Maybe some of it is just being willing to be vulnerable and ask for help. Afterward, I felt such a peace that has been eluding me lately. I would love to hear about your thoughts on prayer and the images that word brings to mind. Good morning one and all! It’s been a busy few weeks. September is crazy busy with birthdays, anniversaries, Oktoberfest, LIFE…. October is the month I’m declaring that I’m important enough to devote some serious time to improving my health and giving me some spiritual and mental chill time. I don’t do this anymore. Maybe that’s why my body has landed in the state it’s in. I’m not sure what the state is called. Unkept, Let Go, Just Don’t Give A… any of those would fit. I’m moving to a new state, giving notice: I’m too important to live my life with one foot “in the grave” and the other foot in “I’m just too tired to care”. October 1st, I began a health program recommended by a friend. The first 21 days are designed to ingrain some new mental and physical habits. I’ll report at the conclusion of the 21 days how I think it’s going. At this point I can report that I’m feeling better, lighter, a little more energetic and generally pretty happy with it. I’ve also decided to work on my own recovery program. If you read this blog last month, you may have noted that my mind was so absorbed in my loved one’s life that I wasn’t giving a lot of effort to my own recovery. That’s never good or very productive at all. It’s kind of like when your car is stuck in some mud, instead of moving forward a bit to get out of the rut, you just spin those wheels harder and harder in place, determined that THAT will get you free. But it never does seem to, does it? I may have mentioned the book “The Help” awhile back. I read it over the weekend. What a great book! Talk about keeping my stomach in knots and turning page after page to see what happens next! Our Book Club for “The Help” is next Monday, October 17th. What a lively discussion I’m anticipating. 🙂 I’ve waited to go see the movie until after I read the book, thankfully. To do it the other way around would have robbed me of so much of the tension I felt throughout the book. If anyone is interested in going to see the film this weekend, let me know.